Tree Montgomery works hard to provide free shade trees through an easy, streamlined process. Click through the steps below to learn how the program works. STEP 1Sign up for Tree Montgomery! Sign up for Tree Montgomery by completing a short online application form. Click here to apply now. The application asks you to enter the address of the property where you want shade trees to be planted, along with a few additional pieces of information. After you complete this short form, you will receive an email confirming receipt of the application. When it’s your turn on our waiting list, you will receive an email with a link to sign-up through SignUpGenius. We offer site visits throughout the year. You can choose between several time blocks for your appointment. We may arrive for your visit at any time within your selected time block. If no time blocks are convenient for you, we will continue to notify you of additional time blocks through the SignUpGenius. Once you choose a time block for your appointment, you will receive email confirming the date and time, as well as a reminder. If you need to reschedule or cancel your appointment, you may do so through SignUpGenius. Tree Montgomery staff will come to your property to meet with you. Together, we will walk around the property to identify potential locations to plant shade trees and talk about species that may work for you. Tree Montgomery is a program of the Montgomery County Department of Environmental Protection and the staff who will meet you are Montgomery County employees. You can ask for identification at any time. We will explain all our planting procedures and answer your questions about the program. The site visit typically lasts about 30 minutes. Following the site visit, you will finalize your choices for the locations and species. The right of access agreement is a short, plain-language agreement that gives the County permission to plant trees on your private property. This agreement includes the name of the property owner, address, duration of agreement, and a map showing the locations and species of each shade tree to be planted. We will send you a link to your agreement and the property owner must then sign it electronically. Once the agreement is signed by the property owner, we will order your trees. Then the County will sign the agreement. Finally, you will receive an email with a link to the signed agreement. View a sample access agreement here. Once you complete your site visit, select locations and species, and sign the access agreement, we will order your shade trees. Once we order your shade trees, they will be planted as soon as possible. Tree Montgomery plants through the fall, winter, and spring. We stop planting on May 1steach year and start again on October 15th. This gives the newly installed trees the best chance of survival. However, it gives us a limited window to plant. Further, the planting schedule is subject to winter weather, location within the County, and availability of species. If you complete the process and sign your access agreement in June, most likely your new trees will be planted in the fall. If you sign the access agreement in the fall or winter, we will make every effort to plant before the following May. Before planting day, the County’s planting contractor will contact you by email. They will give you a four-hour window for when they expect to plant your trees, as well as details about what to expect. You do not need to be home during planting, but the contractor will need access to the planting location. For example, we will ask you to leave fence gates unlocked and have all pets safely secured so the contractor can access the location to plant a tree. The contractor will make every effort to leave your property as they find it. This includes using hand tools to dig the holes, moving the trees using small carts, placing the excavated soil on tarps, carefully edging and mulching the planting site, removing any unnecessary soil or materials, and removing their trash and debris. You should not see any change to your property except for your new trees! The County-approved contractor will have the logos below prominently displayed. You can ask for identification at any time. Shortly after your trees have been planted, a Tree Montgomery staff member or an employee of a County-approved contractor will visit your property to ensure that each new tree, its location, and the planting techniques are all correct. This inspection should only take a few minutes per tree, and we may not be able to contact you before the inspection. You do not need to be present for the inspection, but we must be able to see the trees. If the trees are not easily accessible, we will contact you to access that part of your property. If anything needs to be corrected, you will receive an email that we need to perform some additional work. In most cases, this additional work is minor, but on rare occasions a tree may need to be replaced. After the corrections are made, we will inspect the trees again. Once we are satisfied that your new trees meet all our requirements for planting, you will receive an email that your trees are ready to grow, and we will begin to help you care for your trees by providing reminders about watering, mulching and more. The County-approved contractor will have the logo below prominently displayed. You can ask for identification at any time. No matter when your new shade tree is planted, we recommend following a 6-week watering program to help the tree become established. After this additional watering beyond the rain is not needed, except in the summer. Through the heat of July and August, nearly all young trees will need at least 25 gallons of water each week. If it rains during the week, you may not need to water at all. Following these watering recommendations and additional care tips should ensure your trees have a long and healthy life. Sign up for the MyGreenMontgomery eNews to receive seasonal tree care tips. Enjoy your new shade tree! Tree Montgomery is a program of the Montgomery County Department of Environmental Protection. Every step of this process is conducted by Montgomery County employees or employees of County-approved contractors. At any time, you can ask for identification. 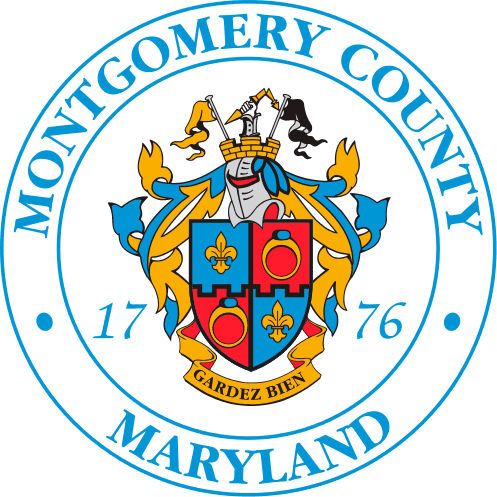 There are no long-term requirements or legal restrictions on the shade trees planted through Tree Montgomery, and the program is entirely free. If you would like additional trees, you can sign up again and we will be happy to repeat the process.